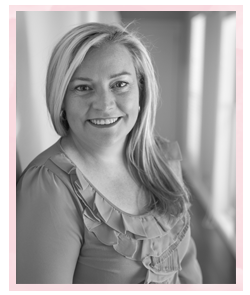 Louise Sharp: Global Design Project - Food, Glorious Food! 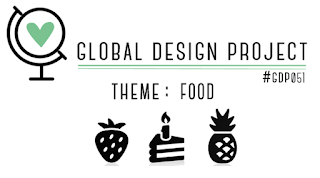 Global Design Project - Food, Glorious Food! It's Monday evening (in Oz) which means it's time for another Global Design Project challenge. This week we have a theme challenge - which is sure to make your taste buds tingle! Sneak Peek Alert - again! 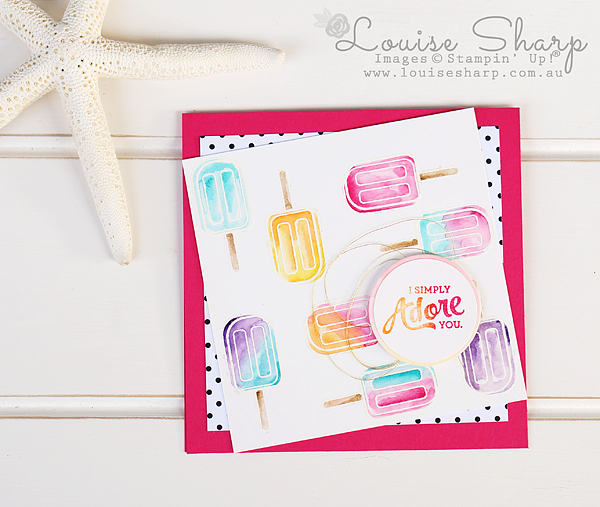 The ice blocks are from a new stamp set called Day at the Beach in the upcoming 2016 Holiday Catalogue which is available to customers to purchase from on the 1st September. 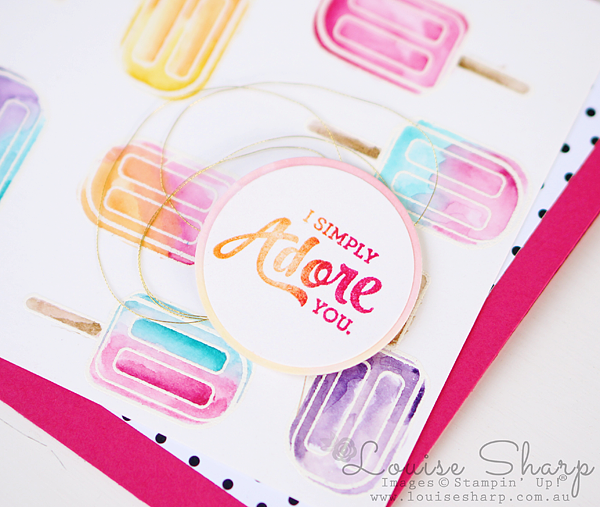 This card reminds me of sweet Summer days by the beach eating lemonade icy-poles. Yum! I know you have seen this technique of white embossing and watercoloring from me more than a couple of time recently, but I love it and it's so fun to sit and colour! I stamp the image onto Shimmer Paper as I find this really nice for watercoloring. Use a wet Aqua Painter and pick up the ink from the lids of the ink pads and use a tissue to wipe off when using another colour. For a more saturated colour, wait to dry before adding more colour in certain areas. 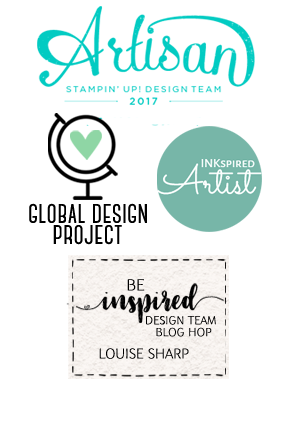 The sentiment stamp is from Mixed Borders on page 123. The two-toned washed look was achieved using the using the baby-wipe technique. Fold a couple of baby wipes in half or quarters and use ink refills to ink baby wipes and use this as a makeshift ink pad. I used Melon Mambo and Pumpkin Pie ink refills. 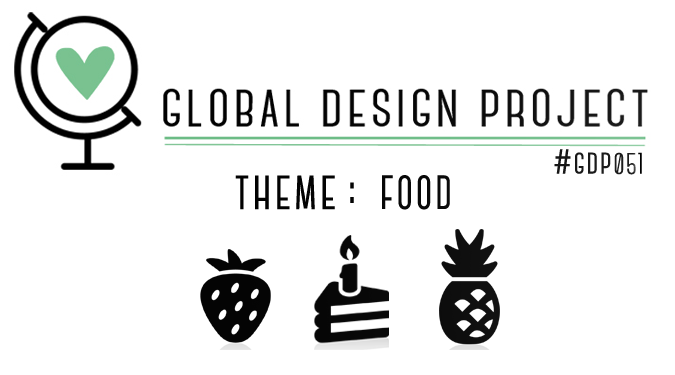 Now to head on over the Global Design Project and get your senses ready for some tasty treats this week! Absolutely gorgeous! love the watercolouring. What a cute stamp set! GASP! 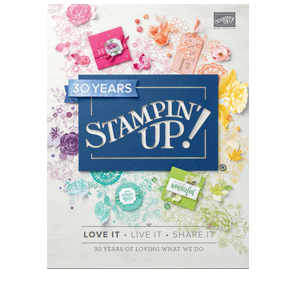 I did not know this stamp set was coming out! What else is in the set? I was resisting this stamp set. Now I am not. Thank you! Too cute! I love this stamp set! Love your card! It's super cute. I am in love with this set too! Have used it a couple of times already and might use it again for this challenge. Thanks for the inspiration! So cute!! What colours did you use?